Mackinaw or Mackinac? It depends on what you’re talking about! 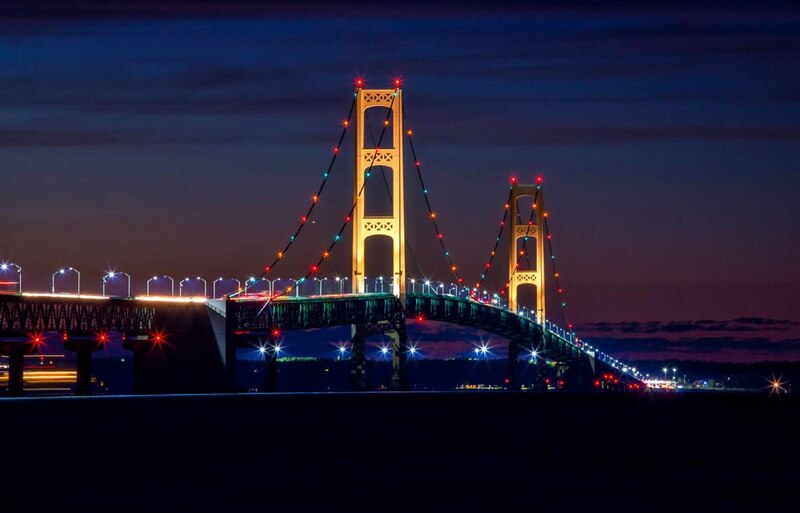 The Mackinaw Bridge connects the Upper Peninsula of Michigan to the rest of Michigan. Mackinaw City is at the south end of the Mackinaw Bridge on the coast of Lake Huron. 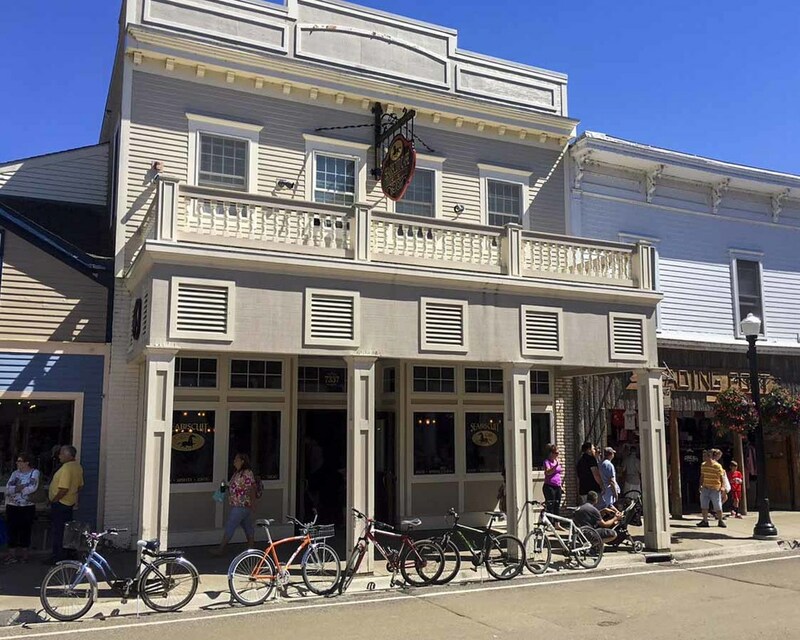 And Mackinac Island is the legendary island off the coast of Mackinaw City known for its no motorized vehicle rules, quaint but luxurious hotels and bed and breakfasts, natural beauty, great restaurants, and fudge. We spent 2 days exploring the Macks and had a great time… the area has a lot to offer! From Petoskey we drove about 45 minutes east to Mackinaw City via HWY 31. We stayed at the Mackinaw City Mill Creek Campground, which is on Lake Huron about 2 miles outside of Mackinaw City. When we arrived at the campground we were thrilled to find our site just a minute from the beach! 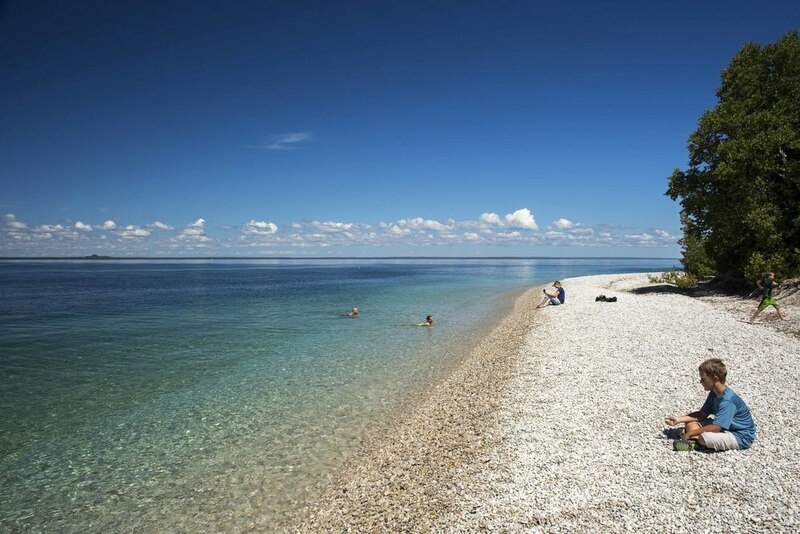 Mackinaw City Mill Creek Campground has about 1 mile of lakefront property with views of the Mackinaw bridge. About ¼ of the mile of the lakefront is beach. It was such a treat for Todd to shoot sunrise and sunset right by the camp site, and I enjoyed an awesome morning run next to the water. 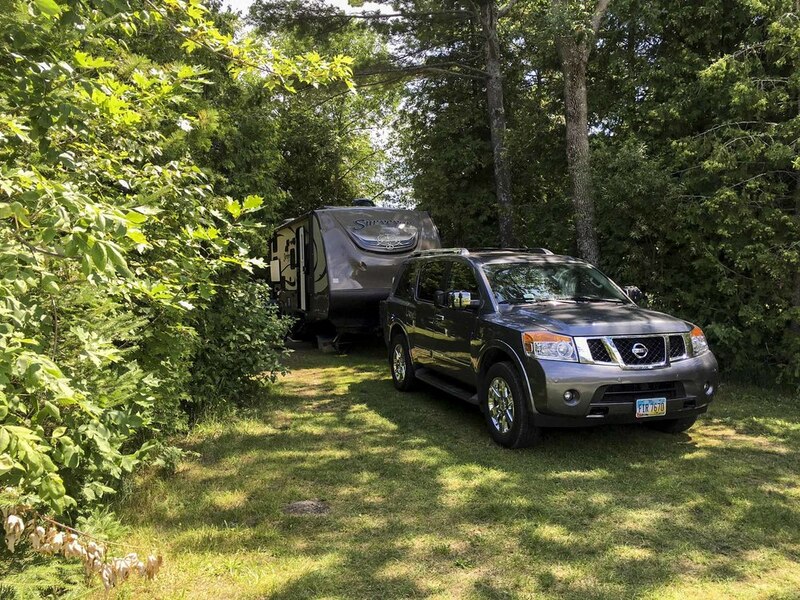 Mackinaw City Mill Creek Campground is in a great location and has fantastic sites (ours was very large, wooded, and private), an expansive camp store, an arcade, a pool, and multiple playgrounds. 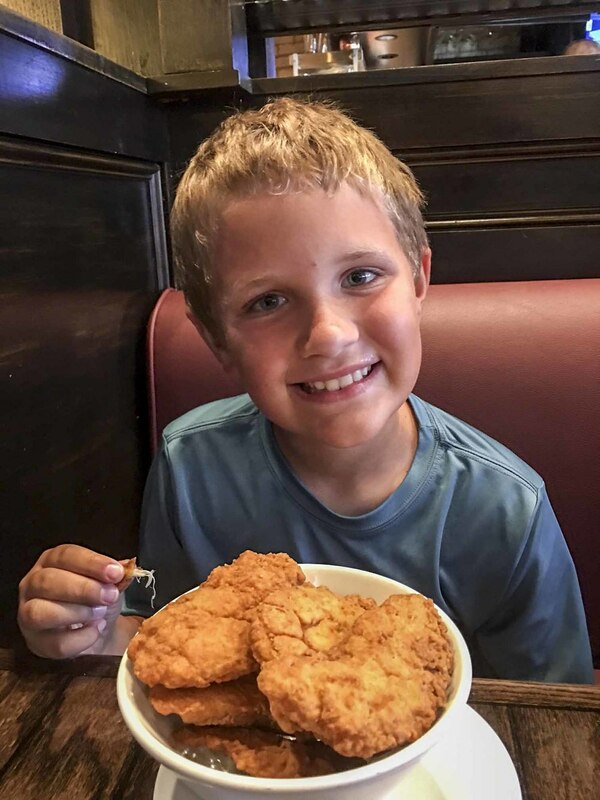 We really enjoyed our time at Mackinaw City Mill Creek Campground and would return, but did note that the campground is huge and has a bit of a party atmosphere in the evenings (lots of noise late at night… well after midnight). Also, the showers are OK, but not great… reasonably clean but push button so you can’t control the temperature and they go off every 15 seconds. Our first full day in Mackinaw City we took the ferry to Mackinac Island. 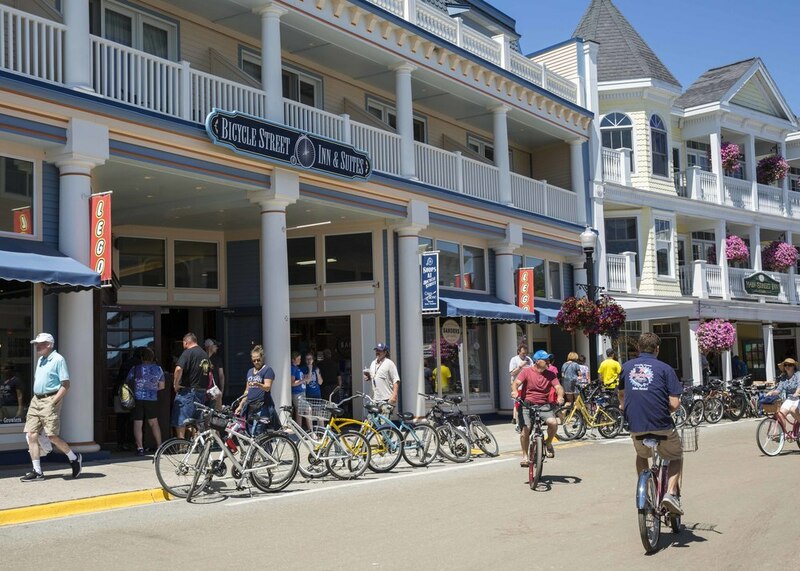 We were excited to find that a free shuttle runs from Mackinaw City Mill Creek Campground and many of the surrounding hotels/motels to the ferry dock and back. There’s also a trailer for bikes. When we booked the trip we thought $10/bike for the ferry was a bit pricey, but compared to the bike rental rates on the island, our $30 total spend was a bargain (we saw one rental company that charges $6 - $9/bike/hour). The total price for our round-trip tickets including the bikes was $82. We took the Star Line Hydro-Jet ferry, which only took 25 minutes and was a smooth ride. There’s indoor and outdoor seating. 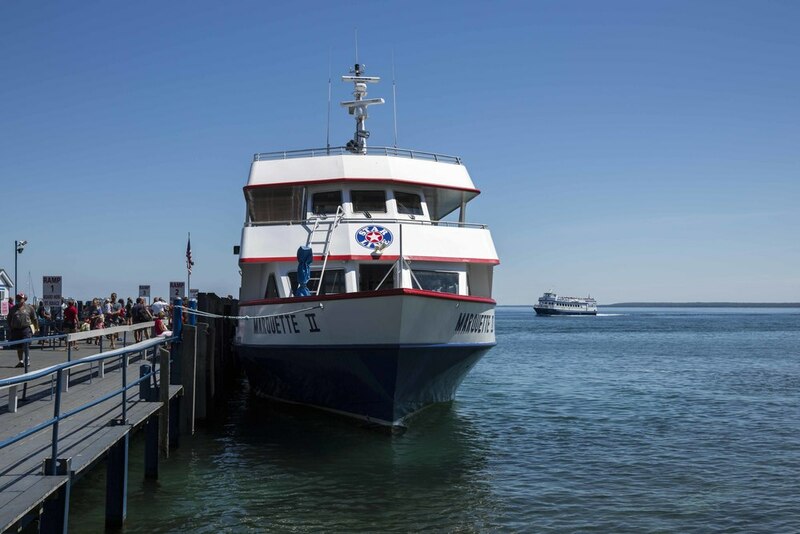 The Star Line ferries dock in the heart of Mackinac Island’s restaurant and shopping district. The ferry offers a welcome guide to the island for a fee, but free maps are available at most of the area stores and are sufficient for exploring. 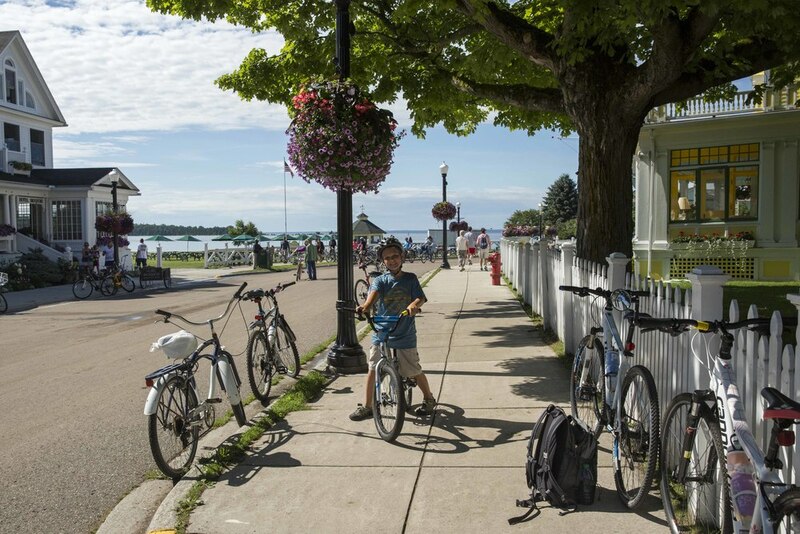 Mackinac Island is 8 miles around, and since only horses, bikes, and people are allowed on the roads, it’s perfect for a family bike ride. There are a number of trails in the middle of the island, but we stuck to the coast so we could see the lake. We started our ride from the center of town and headed north about a mile to Arch Rock. 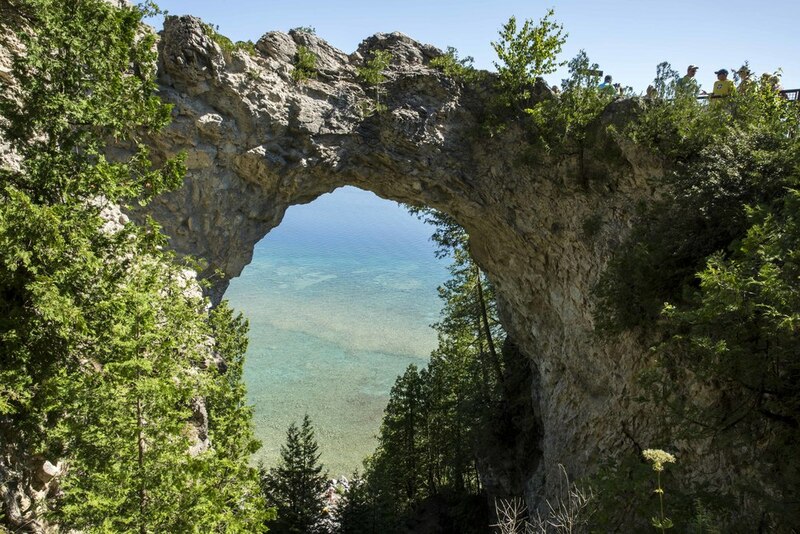 Arch Rock offers great views of Lake Huron and the rock itself is pretty cool. After visiting Arch Rock we continued our ride and stopped along the way a couple times to take in the beautiful lake views. Though Lake Huron is rocky, we found its water to be the most beautiful of the lakes… very clear and different shades of blue. We love building rock houses, so the rocks are a plus for us! 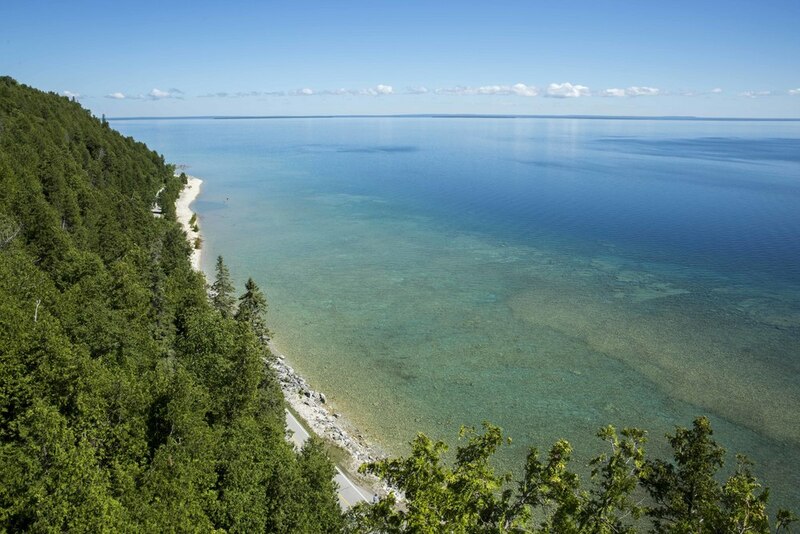 An item to note… around mile marker 4 there is a beautiful beach with multiple access points that offers great views of the Mackinaw Bridge. British Landing is also between mile markers 4 and 5 and has washrooms and a snack shack. Our ride ended back in town where we locked the bikes and explored. Daniel was excited to visit the Lego exhibit and store located on Main St. The Lego exhibit costs $6 for an adult and child to enter. I was a little skeptical, but it is really well done… Daniel loved seeing all the Lego sets assembled and grouped with sets from the same series. I was fascinated to see some of the rarer Lego sets and the expert sets. Unless you’re a collector, the store likely isn’t a place to purchase a souvenir… many of the sets are valuable and pricy (I learned that Lego sets appreciate significantly!). What to do? 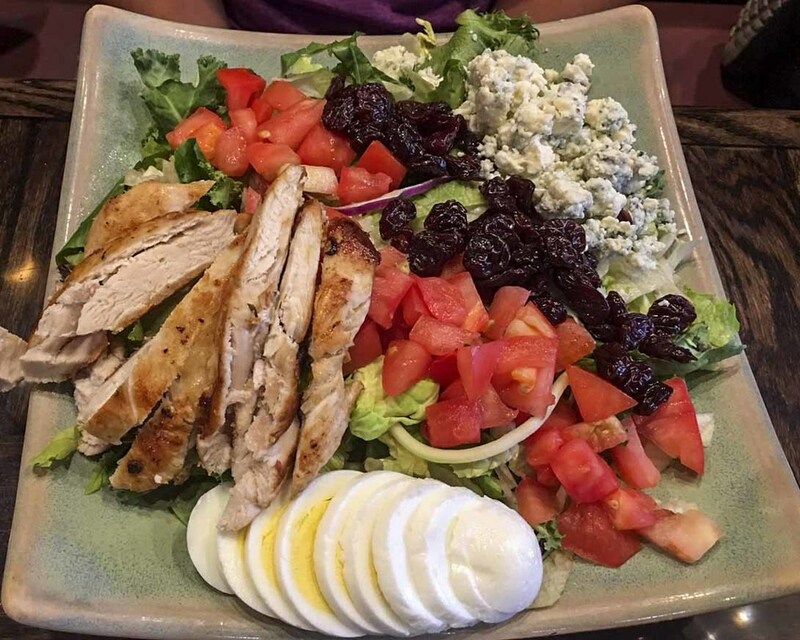 We went back to the reviews and walked down to Seabiscuit Café, which doesn’t have outdoor seating but has great reviews. We immediately got a table and had a really great meal. 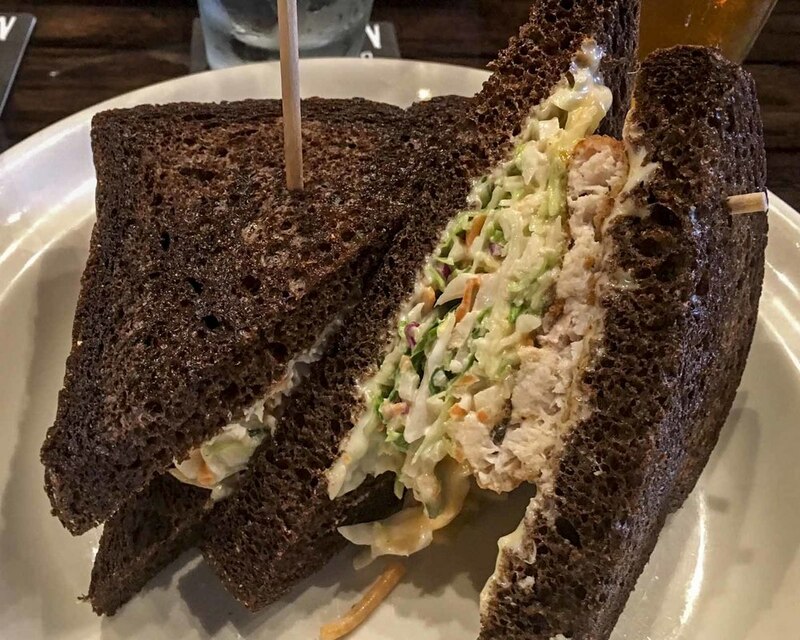 Todd had the Great Lakes Whitefish Rueben, I had the Michigan Chop Cherry Cobb, and Daniel had a big order of chicken fingers. Everything tasted great and we were also excited to have a number of unique items to choose from! The vibe is also great… casual and friendly! On our second day in Mackinaw City we decided to have some beach time. It was fantastic to have our trailer a minute from the beach! Before our day of relaxation and fun we went to Mackinaw City for groceries. We noted that there aren’t many options… there is one grocery store which offers little produce and protein. We found what we needed for the day, but it wasn’t a place to stock up. 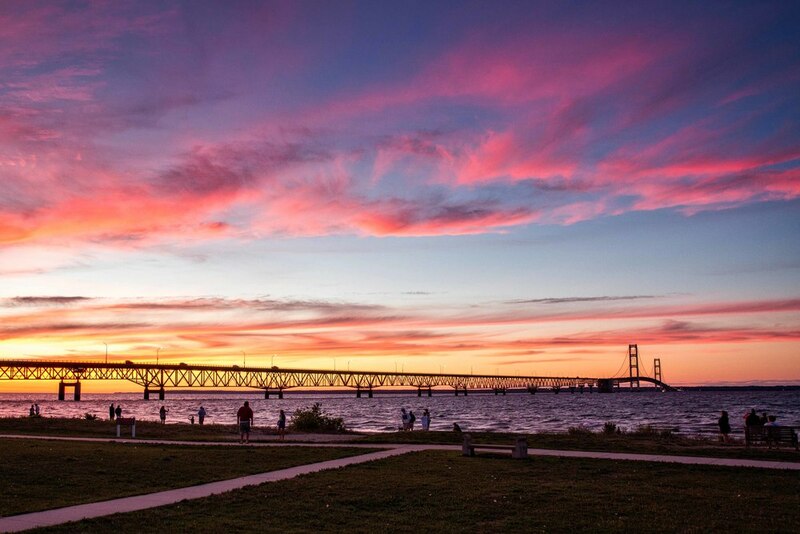 Interested in visiting Mackinaw City and/or Mackinac Island? There are lots of options. In Mackinaw City there are a number of campgrounds and motels/hotels. On Mackinac Island there are several hotels and lots of beautiful bed and breakfasts. It appeared that there might be a few cottage rentals. 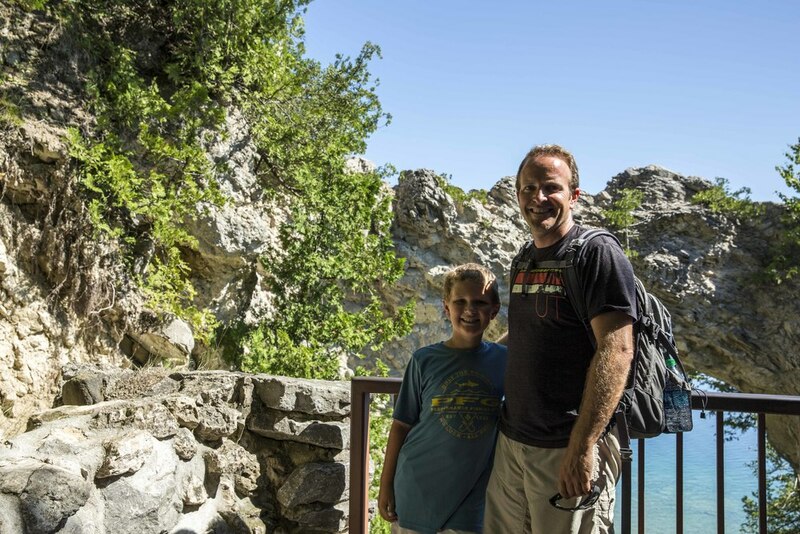 We noted that the spots on Mackinac Island book up quick, even during the week, and can be quite pricey.